CEJA is the voice of Europe’s next generation of farmers and one of the key advocates for the agricultural sector in Europe. Based in Brussels, it brings together young farmers' organisations from across Europe with the main objective of promoting a younger and more innovative agricultural sector across the EU and to create good working and living conditions for young people setting up in farming as well as existing young farmers. 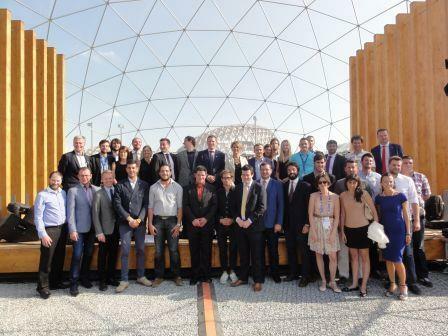 It currently has 29 member organisations and one associate member, representing 21 different European countries and over one million young farmers. CEJA’s main objective is to promote a younger and innovative agricultural sector across the EU 27 and to create good working and living conditions for young people setting up in farming and those who are already ‘Young Farmers’. CEJA achieves this by acting as a forum for communication and dialogue between young farmers and European decision makers. What else does CEJA do? Promoting farming practices that find practical ways to reduce Greenhouse Gas emissions on farms. For further information about the projects CEJA is involved in please visit the CEJA website. 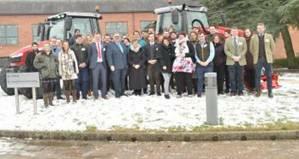 NFYFC and NFU Next Generation Forum were delighted to host a UK CEJA Brexit working group meeting and Brexit and Beyond Seminar in March. NFYFC and the NFU Next Generation Forum enjoy joint membership of CEJA, the lobbying voice for Europe’s next generation of farmers. For all the latest news from CEJA and the EU, subscribe to the CEJA newsletter.